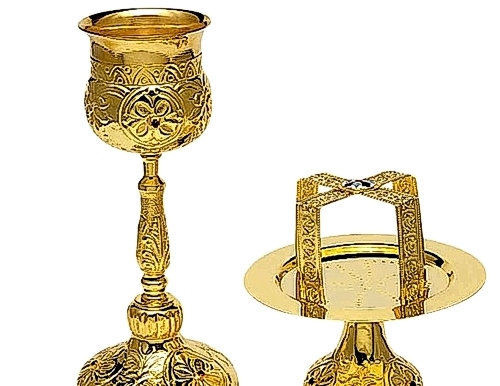 Masterfully handmade Byzantine Chalice, used by the priests in the Greek and Russian Orthodox Churches at the high altars. The Chalice holds the Body (bread) and the Blood (wine) of Jesus Christ for the Holy Communion. 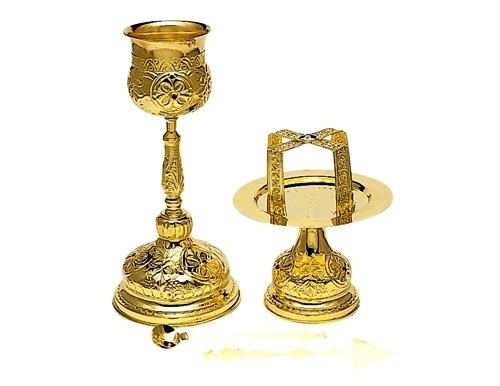 The chalice is hand made in Greece of top quality gold plated brass in the traditional manner. It comes together with the bread vessel and the spoons of the Holy Communion set.